You can trust the cleaning professionals at Sears Maid Services to provide you with exceptional cleaning services. Our local teams have years of experience working in residential and commercial areas. For those one-time extensive cleaning jobs or regularly scheduled services, you can rely on the Sears Cleaning Services to get the job done right. 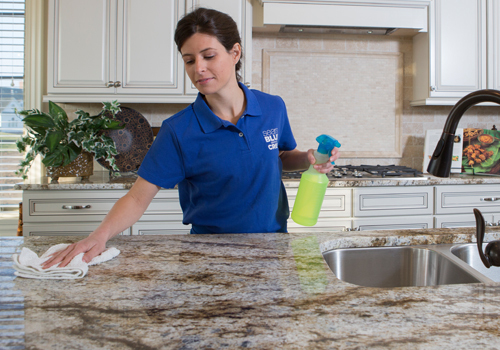 From bathrooms and kitchens to living rooms and dining rooms, our staff is trained to do it all. If you need assistance with those hard-to-clean areas like toilets, ovens, microwaves, and ceiling fans we can do that too. Give us a call at (510) 776-5219. Many people benefit from having a professional cleaning service handle their cleaning needs. At Sears Maid Services, we have qualified employees working on a flexible schedule to fit your needs. We want to make this scheduling process as simple as possible to ensure you receive our services on your terms. By offering weekly, bi-weekly, and monthly schedules, we can tend to a broad range of home and apartment owners cleaning needs. Some people prefer less frequent service by having a thorough cleaning only once or twice a year. For these customers, we offer an intensive Deep Cleaning service, which allows you to receive every benefit of a normal cleaning, plus some added attention to other areas. It's important for business environments to promote a positive image to vendors, employees, and clients through clean work spaces. Dirty office spaces can appear chaotic and unsightly. This chaos may lead to employees feeling sluggish or unmotivated to work. Clean surroundings can boost morale and increase employee productivity. It's easy for a mess to build up, but you can trust Sears Maid Services to help you keep your place of business in a clean and organized state. From overflowing garbage cans to pesky stains in the kitchen, our trained professionals have the expert cleaning techniques to do it all. Building a home can be a messy job no matter how hard you try to keep things tidy. After all the drywall, fixtures, and carpets have been installed, every room is going to require intensive cleaning. Construction companies usually hire a professional cleaning service to help make a newly constructed home presentable to realtors, inspectors, and potential buyers. Sears Maid Services is equipped with highly trained employees to provide exceptional post-construction cleaning. We can vacuum, sweep, mop, sanitize, and wash every possible surface. There will be no dust or debris left behind on the site. It takes a strong level of trust and respect to allow any worker into your home. Our professional integrity and industry expertise allow us to build a solid foundation of trust with our clients and staff. At Sears Maid Services, being successful on the job is just as important as having a quality relationship with our customers. Each of our prospective employees is put through a rigorous screening process and background check. They are all vetted thoroughly to reduce the chance of professional misconduct. Once they're hired, we provide them with ongoing on-site and off-site training. We want to give all our employees the knowledge and skills required to succeed and provide clients with outstanding results. We are exceptionally confident in the quality of work. So confident in fact, that we guarantee your satisfaction. If you're not completely happy with the work that was done, be sure to inform us of any problems. Call within twenty-four hours of the last cleaning you received and we will send out one of our associates to inspect your home. We will make it right and won't charge you extra for anything we missed.